Poorvi Chothani is the founder and managing partner of LawQuest, a law firm in Mumbai, India with offices in Bengaluru and New York. LawQuest's areas of practice include Immigration Law (including Global Immigration Solutions), Employment law, and Corporate Law. She is also the managing partner of The Law Office of Poorvi Chothani PLLC. Poorvi's practice has been focused on immigration law since 2003 and she has vast experience in immigration, dispute resolution, corporate and commercial laws. She has worked on immigration matters with large, local and international clients, including renowned international consulting firms, Indian and American banks and investor relations companies, multi-jurisdictional business processing companies, pharmaceutical and health product organizations to name a few, helping them achieve their business goals in India and abroad. LawQuest provides its global clients with tailor made immigration strategies and services. We invest in the best talent, including attorneys licensed in multiple jurisdictions including the U.S., this gives our clients an edge to keep them ahead of the competition. We deliver clear and practical solutions through the complex world of U.S. immigration regulations. Our advice is delivered at the highest standards through experts who are both legally qualified and have specific expertise with government regulations. Our boutique firm has a professional, highly skilled and experienced staff who will assist through all the steps of the U.S. immigration process. Our Global Immigration practice encompasses a full range of business immigration services to corporate and individual clients. The dynamic team of attorneys at LawQuest are licensed to practice in multiple jurisdictions and have extensive experience managing global immigration matters. We provide these services in conjunction with our office in New York, and through our global network partners. We help our transnational corporate clients place their personnel and their families in different countries on valid work permits and/or business visas. Conducting mock sessions to prepare for visa interviews. Our qualified professionals and personnel offer these services across borders in over 95 jurisdictions worldwide. Assisting with obtaining Indian citizenship and renouncing foreign passports. Poorvi is the past chair of the conference committee of the American Immigration Lawyers Association's (AILA) Bangkok District Chapter (BDC). She has also been a member of the Steering Group of AILA’s Global Migration Section (GMS) and has served co-chair of the section and as conference chair for the Section's Global Migration Forums in 2012 and 2013. Poorvi has served on multiple AILA committees and is an active member of the AILA's Bangkok and Rome District Chapters. Poorvi serves as the Vice-Chair of the India Committee and is the Vice-Chair of the Immigration & Nationality Committee, both of which are a part of the Section of International Law, the American Bar Association (ABA). She has been the past president of The American Alumni Association (AAA), Mumbai (2008-2010), the convener of the Society of Indian Law Firms (SILF), Mumbai Chapter and a founding member of the New York State Bar Association's (NYSBA) India Chapter. As Senior Vice President on the board of the Indo-American Chamber of Commerce’s (IACC) Western Region council, she is actively involved in cross-border work between the two countries. She also speaks at various AILA, EB-5 and IBA conferences on Indian, U.S. and global immigration matters. Poorvi has contributed several articles in leading publications (print and electronic) on US immigration. She has authored extensive articles on US consular processing at New Delhi and Kolkata for the Consular Handbook issues published by the ILW and AILA. She has written a similar piece for Interpreter Releases on US consular processing at the Mumbai Post. The media often seeks Poorvi's opinion on issues affecting global immigration. She is often quoted in the Economic Times and Business Standard, India's leading business dailies and on radio and CNBC-TV 18 and Zee Business News. Poorvi is frequently invited to speak on US and global immigration issues at events organized by India's premier, national organizations including the Federation of Indian Chambers of Commerce and the Indo-American Chamber of Commerce, the Indian Merchants Chamber and the Federation of Indian Exporters to name a few. Poorvi has since 2009, been nominated each year, amongst the world's leading immigration private practice lawyers in “Who's Who Legal”, which recognizes her as a Though Leader Corporate Immigration 2018. She was also nominated for the prestigious ICICI-CNBCTV18 Emerging India Awards as “Woman Entrepreneur of the Year–SME” for 2013. She is actively involved in fund raising activities for education related charities and under her leadership, the team at LawQuest renders pro-bono services to several charitable institutes throughout the year. 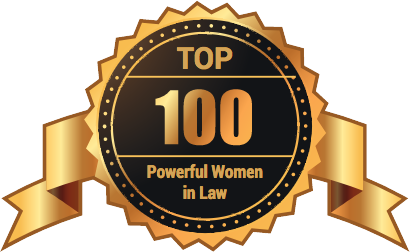 Poorvi Chothani ​was listed as one of the top 100 women lawyers in India. She is actively involved in fund raising activities for education related charities and under her leadership, the team at LawQuest renders pro-bono services to several charitable institutes.